(Y Ddraig Goch) incorporates the red dragon of Prince Cadwalader along with the Tudor colours of green and white. It was used by Henry VII at the battle of Bosworth in 1485 after which it was carried in state to St. Paul’s Cathedral. The red dragon was then included in the Tudor royal arms to signify their Welsh descent. It was officially recognised as one of the Welsh symbols of the Welsh national flag in 1959. The British Union Flag incorporates the flags of Scotland, Ireland and England but does not have any Welsh representation. Many welsh people believe this flag, which has 4 squares alternating in red and yellow and then a rampant lion of the opposite colour in each square, is the true flag of Wales. One of the true Welsh Symbols. Believing Owain Glyn Dwr was the last real Prince of Wales. Owain Glyn Dwr (anglicised as Owen Glendower) led a Welsh revolt against the English crown between 1400 and 1409. He was the last man to claim the title of independent prince of Wales. Glyn Dwr was educated in England and joined the English army. He took part in an invasion of Scotland and then retired to his estates in Wales. In 1399, against the backdrop of Richard II’s overthrow by Henry Bolingbroke, Glyn Dwr’s long-running land dispute with his neighbour, Reginald de Grey, escalated into rebellion. Glyn Dwr proclaimed himself prince of Wales in September 1400. The Welsh Dragon, part of the national flag design, is also a popular Welsh symbol. The oldest recorded use of the dragon to symbolise Wales is from the Historia Brittonum, written around 820, but it is popularly supposed to have been the battle standard of King Arthur and other ancient Celtic leaders. This myth is likely to have originated from Merlin’s vision of a the Red (Wales) and White (England) dragons battling, with the Red dragon being victorious. Following the annexation of Wales by England, the dragon was used as a supporter in the English monarch’s coat of arms. The leek and the daffodil are both emblems of Wales and they share the Welsh name Ceninenis. According to legend, Saint David ordered his Welsh soldiers to identify themselves by wearing the leek on their helmets during an ancient battle against the Saxons, which took place in a field of leeks. The leek is known to have been displayed as a Welsh emblem in 1536 and in Henry V, Shakespeare acknowledged this as an ancient custom. 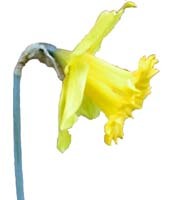 The Welsh daffodil does not have the same claim to literary or historical distinction as the Welsh leek. But, it has become the more favoured emblem of today, since some welsh folk find it makes a more attractive buttonhole on St. David’s day. Daffodils and new-born lambs herald the summer in Wales and The Sessile Oak is the national tree of Wales. The flag of St. David is sometimes used as an alternative to the national flag. 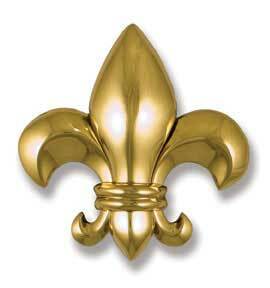 Today it is used as part of Cardiff City Football Clubs crest. It is flown every year on St David’s Day. This flag is used by Charles, Prince of Wales as his personal standard, rather than a one of the traditional Welsh symbols. The Prince of Wales’ feathers, the heraldic badge of the Prince of Wales is sometimes adapted by Welsh bodies for use in Wales. The symbolism is explained on the article for Edward, the Black Prince, who was the first Prince of Wales to bear the emblem. Also John, King of Bohemia. The Welsh Rugby Union uses the design for its own badge. This worsening of symptoms can tramadol online overnight be life threatening and frequently..